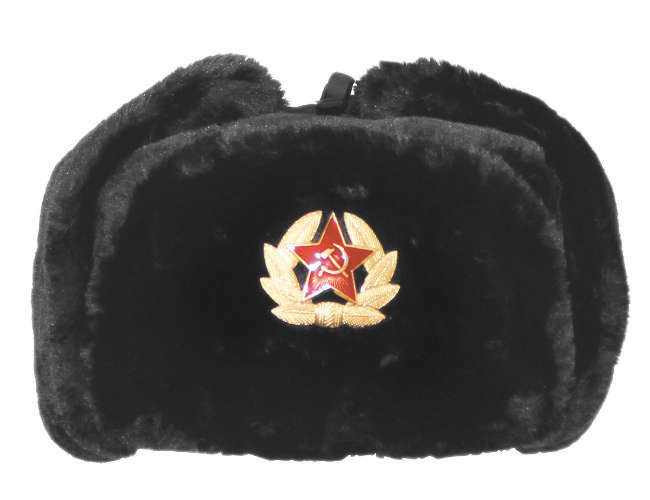 This is a design taken from the military hats knows as the Russian fur has or Uschanka or a Tschapka. It comes with a chin strap and ear flaps with the star on the front. 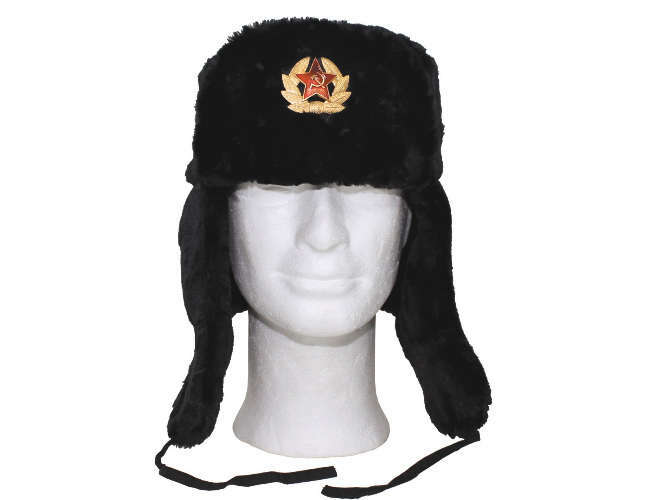 Quilted lining.This hat first became popular when the Wall came down in the Eastern block countries. The armies shrank in size and millions of hats came onto the market.They were Grey with the star on the front just like the modern version.The modern version has changed little since those days and the hat is as popular as ever. Uschanka and Tschapak are Russian names.